FYI: This post is not meant to be an eat-like-me kinda post. 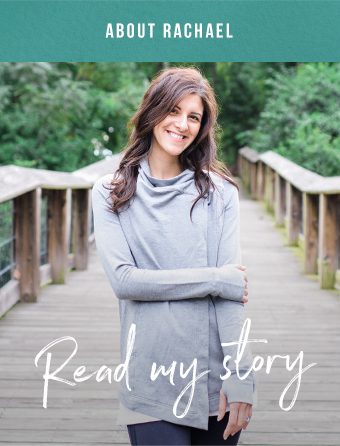 My goal is to give you a behind the scenes on intuitive eating, sharing what guides my decision making about food and how that plays out on the plate. This post is about WHY I ate the food I ate, not WHAT I ate. 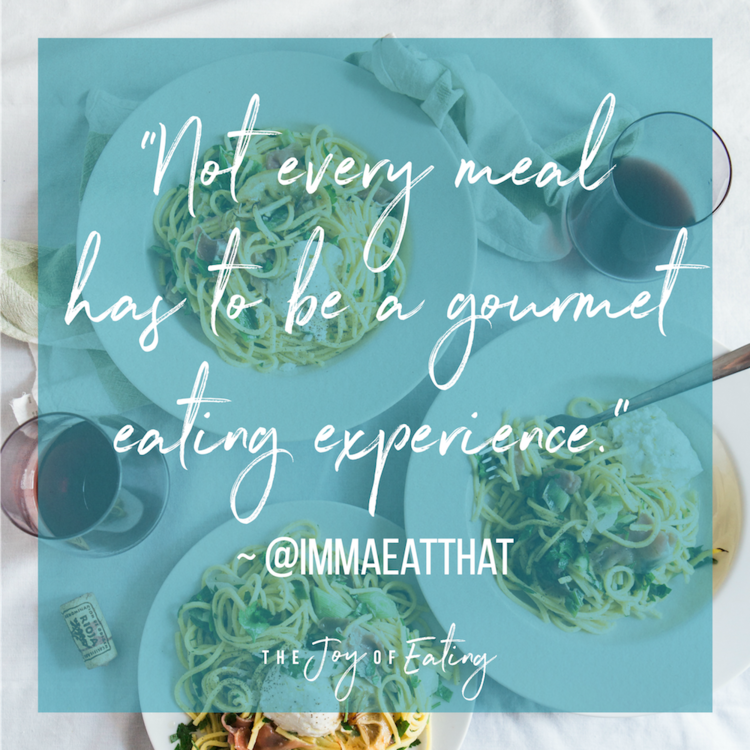 I hope that in reading these posts, you see that "healthy" eating can look really different from day to day. Phew, it was a day! I hope this post doesn’t come off as a busy-brag. While I used to be one of those people who felt a sense of self satisfaction from being perpetually busy (and sharing that busyness with others), being busy isn’t a badge of honor to me anymore, and I don’t want to contribute to this workaholic/achievement-obsessed culture. But, the truth is that as a small business owner, I have a lot of very full days - although thankfully a lot of flexibility other days to help balance it out. This week though, I’m heading out of town Thursday afternoon to go to DC for FNCE (our national dietitians conference) and will be gone until next Wednesday. Since my schedule is always packed with events, networking, and education sessions, there’s a ton of work to get done before hand, so that usually means late nights the week leading up to FNCE - then crashing immediately after! Usually I like to book clients back to back, but because I was trying to squeeze clients in before heading out of town, my day was really scattered - my first appointment was scheduled at 8:30 and my last at 7, hence the long workday! I woke up a 5:30 since the hubs was out of town for work, and I needed to walk the dogs. I usually don’t have much of an appetite in the morning, but for some reason I woke up ravenous! I brought a piece of my browned butter pear and dark chocolate baked oatmeal to work and ate while checking email and reviewing for clients. Although that normally would have satisfied, it just brought me to a 5 on the hunger/fullness scale. When my 8:30 called out sick, I immediately dug into the frozen mango with chili and lime I brought to snack on. I usually bring at least one more snack than I think I’ll need, since it’s nice to have a variety of snacks to choose from, and some days you’re just hungrier than others. There’s nothing wrong with feeling hungrier some days than you do on others. Sometimes there’s an obvious reason why, like you were more active, got less sleep, or time in your cycle. Other times you’re just hungrier for who knows why! 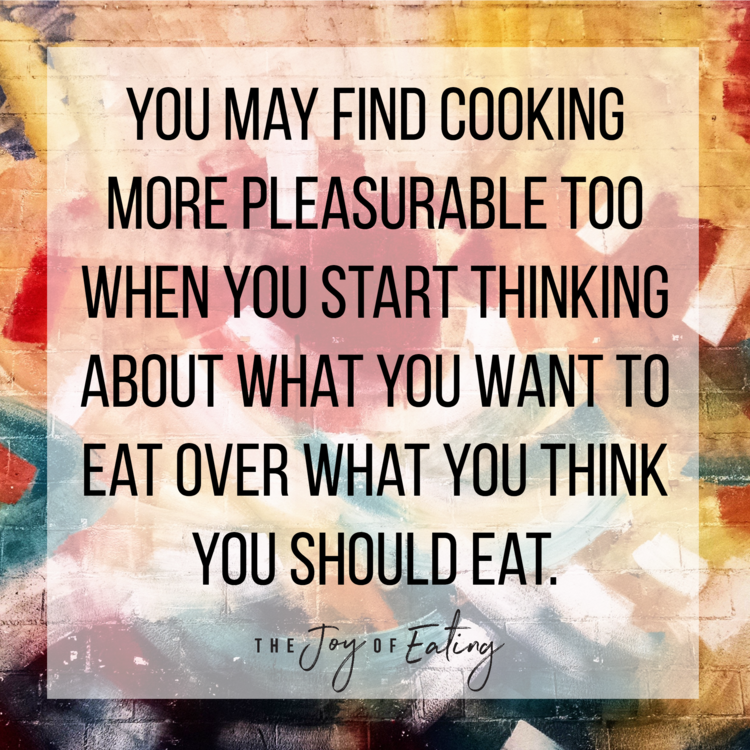 Either way, the best way to handle is it honoring that hunger, and perhaps having a little extra protein/fat to feel more satisfied. After getting a little work done at the office, I went over to a behavioral health center to do a consult for one of their clients with an eating disorder. On the way back around 11:30, I was super ready for lunch. I had been meaning to check out The Cafe at Richland Library since my Columbia food writer friends were talking about it the week before, and a sandwich sounded really satisfying. My Columbia readers will remember Rise Bakeshop (RIP), Sarah Simmons perfect little bakery and cafe that closed last year. I still dream of that fried chicken biscuit! The Cafe is her new location (and she’s got a produce-centered spot opening where Wired Goat used to be too!). I went with the turkey and brie sandwich with apples and honey mustard - such a classic combo! For sides, they have a choice between fruit or chips. While I looove the brand of kettle chips they had, and that sounded pretty tasty, I decided to go with clementines since I’m still getting over a cold and figured the extra vitamin C couldn’t hurt. This was a great example of gentle nutrition - because I know those potato chips are always available, passing on them once didn’t feel like a big deal. 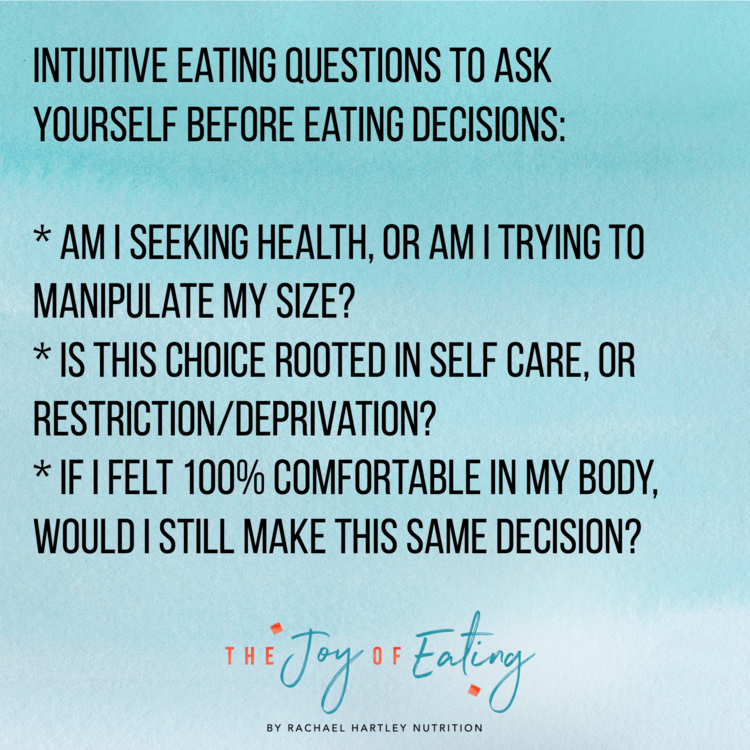 If you’re wondering how to make gentle nutrition choices that aren’t rooted in restriction, here’s a helpful post on giving yourself full permission around food. After another appointment, I ran home to walk the dogs and take a few pictures of a bomb hummus recipe I made for an upcoming sponsored post with Simple Mills, since I ran out of good light the night before. While I was cleaning up, I had a few bites of hummus and crackers, not really a snack amount since I wasn’t quite hungry yet, just enough to satisfy my taste hunger. I talked about it a little more in this post, but there’s nothing wrong with grazing. As long as it’s not interfering with hunger at meal times, sometimes you just need a taste of something! Back at the office (yes, this was my third trip back to my office), I had a cup of Siggi’s honey yogurt with dried figs and walnuts before my next session. If you like fat free yogurt, that’s cool, but I do find the fat in either 2% or full fat yogurt makes it a bit more satisfying, and may even have some health benefits, so that’s usually what I recommend. I was supposed to go to a quick meeting for Junior League before seeing my last virtual client from home, but this is what my tire looked like when I tried to leave my office. Much to my husband’s dismay, I decided to emergency-light it the mile back to my house. Apparently, that’s just not very good for your car. Whoops. Back at home, I quickly shoveled in leftover orecchiette with sauteed mushrooms and Cucina Antica’s tuscany pumpkin sauce before my last virtual appointment. They sent me a few of their sauces last month and this one might be my favorite! Have you guys learned from these posts that I’m a really big fan of leftovers? After my session (phew!) I took the dogs for a walk, then crawled into bed around 8:30 to watch TV and get a little more work done. My throat was really sore since I was still getting over a cold and had been talking all day, and some mint chocolate chip ice cream sounded perfect. The cold on my throat was really soothing. For all the talk about hot tea and chicken noodle soup, frankly I think mint chocolate chip is the best when I’m sick. Graeter’s brand if we’re gonna get specific with it. A couple hours later (still working…), I realized I was pretty hungry, about a 3 on the hunger/fullness scale. I wasn’t planning to go bed for another 30 minutes, so I had a few stuffed grape leaves to take the edge off the hunger, plus a bite of cheddar cheese, which brought me back up to a 5. I know for a lot of people, eating before bed feels really scary. “Eat after 8 and you’ll gain weight” is a refrain most dieters are familiar with. But the truth is, if you’re awake longer, you may need an additional snack. And while metabolism does slow slightly overnight, it’s only about 10% - your body is still using lots of energy over those 8 or so hours you’re in bed, so the whole idea that your body shuts down and stores everything you eat after a certain time just isn’t true. You’re still breathing (requires energy), digesting food (requires energy), regulating body temperature (requires energy) and thinking/dreaming about Tom Hiddleston (requires energy). While I find going to bed with a full stomach uncomfortable, and usually leads to a poor night of sleep with some weird nightmares, going to be hungry is really uncomfortable too. Having something light to take the edge off hunger, and bring my body to about a 5 on the hunger/fullness scale usually feels good. Would love to hear your thoughts! Feel free to leave a comment below.